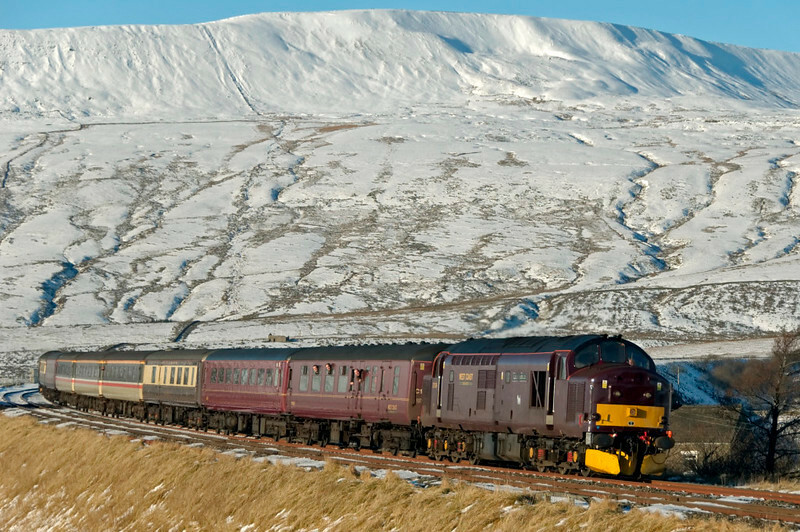 37676 Loch Rannoch, 1Z90, Ribblehead, 6 December 2008 - 1230 The WCRC 37 heads Saltburn Railtours' 'Saltburn Chritmas Cracker' to Skipton's Dickensian festival. 47854 was on the rear. The train was early at Ribblehead despite a late start because of a broken rail. It returned to Saltburn via York.